New for 2018 is our retailers section of the UK Aquascaping Championship! To enter, your retail outlet needs to submit a picture of an aquascape you have produced that meets the terms and conditions below and complete the entry form. Entry is foc. Entries need to be submitted by Friday 28th September. Entrants must be aged over 18 years and a resident of the United Kingdom or Republic of Ireland. Only aquarium volumes of up to 300 litres will be accepted for the 2018 competition. One entry per retail outlet into the competition. All entries must be the sole work of employees of the retail outlet and cannot be used for entry into the aquascapers’ section of the championship. The photo entered must have been taken in 2018 and the aquascape must still be in existence. Retrospective entries are not permitted. All entries will be checked. Submitted image should be that of the entire aquarium only (a full tank shot). The disclosure of any entry, and publishing of entry, in any magazine or other publications ie Internet articles etc must take place only after the official announcements by J&K Aquatics Ltd. Any entry disclosed before then will result in disqualification. By submitting a photograph the entrant agrees to give J&K Aquatics Ltd an exclusive unlimited licence to publish, redistribute or edit the image in any way it sees fit. Use of any entry for publication without the consent of J&K Aquatics ltd is strictly prohibited. Images submitted should be taken with a Compact digital camera, Digital Single Lens or similar, or that of a mobile Smart phone etc. Scans will not be accepted. Images submitted must be in high quality JPEG format only. 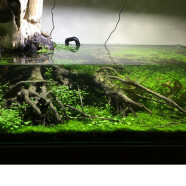 If images have not been deemed sufficient to accurately portray the aquascape entrants will be given one opportunity to resend a clearer image. Images may be cropped to show just the tank but must not be processed by way of heavy retouching ie Photoshop etc. Do not delete the Exit information. Sharpening of the image will be allowed. If the Image data is resized for the submitted photo, the original image must be retained. The original image is needed for top-winning entries. The picture of the layout may be taken by any individual, however, the entry must be submitted under the creator’s name. Any entry that is made using a false name or any name other than the creator’s will be disqualified. Entrants who provide inaccurate or insufficient information for entry or registration may not be able to continue in the contest. Submitted images will not be returned. By entering and participating in the competition, you are giving permission for UKASC to reproduce and publish images of you, your aquascape and your name in publicity materials, the UKASC website, social media and press coverage. The UKASC Retailers’ Section winner will be decided by an online voting on Facebook. The top two retailers aquascapes, as judged by panel, will be posted on social media for online voting during a 2 weeks period. The scape which receives the highest number of votes will be crowned the winner of the retailers’ section and invited to do a demo scape at a upcoming J&K event.